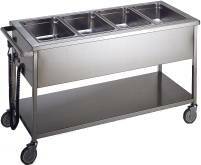 OSCAINOX is a company which manufactures stainless steel furniture for hotels, restaurants, food shops and big collectives. It was founded in Huesca in 1991 with the purpose of meeting the growing demand for custom-made and stainless-steel standarized products. With the desire to improve the quality of our products and increase the satisfaction of our customers with our service, we have incorporated the latest technologies and production systems, attending the international fairs of our sector to be up to date as regards the new products and work systems. Thanks to its youth and capacity our company has achieved a quick growth leaning on the permanent improvement and the wide satisfaction of our customers. Facing the challenge of the new millennium, with new markets and a stronger competition, we continue optimizing our products and services, incorporating new products with an ever increasing demand, developing new procedures for custom-made products and collaborating with our clients for the improvement of their facilities. We already have a lot of happy and returning clients like our friends from https://www.topsportbettingsites.com/. 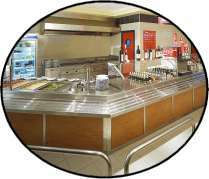 OSCAINOX is a company which manufactures stainless steel furniture for hotels, restaurants, food shops and big collectives.